Excessive Exposure documents all the chocolate-colored portraits that Bronx-born artist Lyle Ashton Harris made with a large-format Polaroid camera over the past ten years. This sequence of approximately 200 paired front and back portraits, for which Harris has become so well known, has now come to a close,making this volume the definitive publication on the series. The portraits’ subjects include Harris’ family and friends, art-world personalities, noted cultural figures, celebrities and politicians. These images are further distinguished by a strategic blurring of conventional gender roles, sexual identities and racial categories, and by a refined use of light and shade. Okwui Enwezor contributes an essay analyzing Harris’ portraits, situating these works in the context of the artist’s work of the past 20 years, as well as in the broader history of the genre. 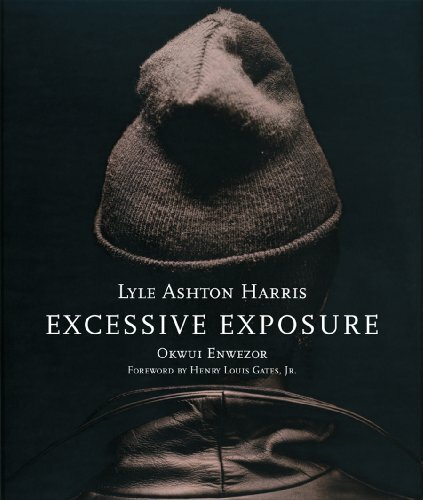 The book also includes a conversation between Harris and artist Chuck Close that took place in 1999, when Harris was beginning the series.With a penetrating foreword by Henry Louis Gates, Jr., Excessive Exposure offers a wealth of superb portraiture and is destined to become a touchstone volume among photo-books.